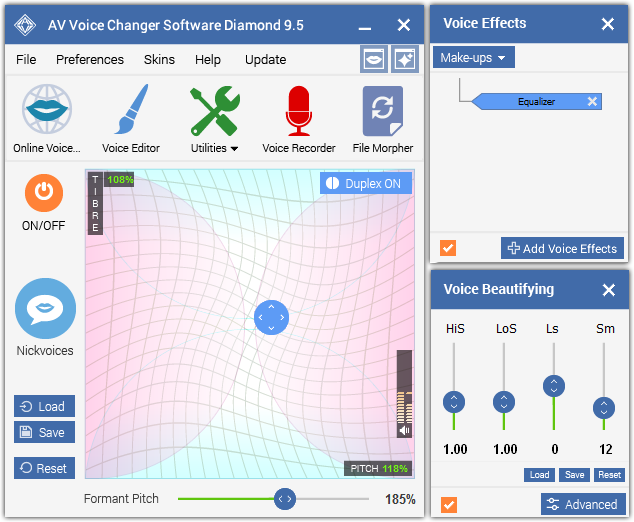 Audio4fun is preparing to release a new version of their AV Voice Changer Software Diamond, VCSD version 9.5, in February. This world-renowned program had made gathered a huge following, including professionals and amateurs, creative types as well as audio and just about everyone interested in audio manipulation is buzzing about this major upgrade. From what Audio4fun has teased us with so far, I’m most interested in the bringing together of 5 powerful settings for morphing voice and audio. Let's take a quick peek! This combination includes the Timbre & Pitch graph, a full-function Voice Equalizer and Voice Effects, Vowel Enhancer, Sound Quality control under Voice Beautifying. Thereby maximizing the user's morphing process. The Voice Equalizer controller allows for precise adjustments in the vocal audio input, useful for matching some qualities of another voice, as well as for modifying any vocal input. Voice Effects contain many audio, vocal and background effects to choose from. You can also come to Add-on Store to download more free packages. The new Sound Quality controller allows a user to precisely set the audio "attack"and "release" levels to the desired limits with a simple point and click. The Vowel Enhancer controller has the ability to change the emotion in the user’s own voice when applied to regular speech. You don't need to try hard; just speak normally, and then apply the “enhancements” to hear the same voice express a feeling of joy, or passion, or anger, or excitement that wasn’t there before. This can be quite effective with a voice that has already had its pitch and timbre adjusted; the possibilities are endless. 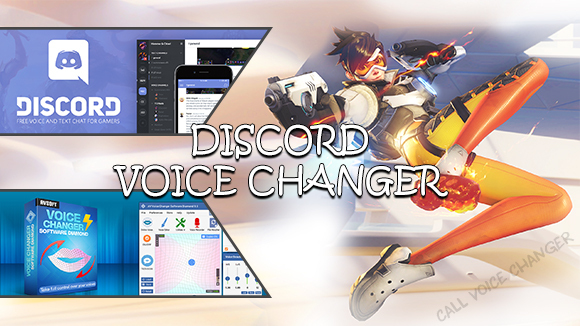 And last but not least, both Voice Effects and Voice Beautifying are always visible at the right, making it easier to manage. 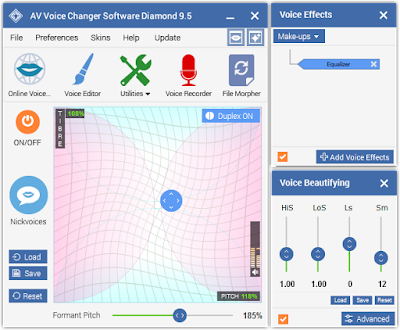 AV Voice Changer Software Diamond 9.5 is definitely the clear choice for all audiophiles. AV Voice Changer Software Diamond 9.5 has always been a standout specialty among the other audio players available. It’s still too early to judge, and we’ll have to wait until its official release; however, with this powerful combination as the first clues, I'm pretty confident saying that this will totally meet your expectations.